Acknowledged author David M. Hillis wrote Life: The Science of Biology comprising 1268 pages back in 2016. Textbook and etextbook are published under ISBN 1319010164 and 9781319010164. 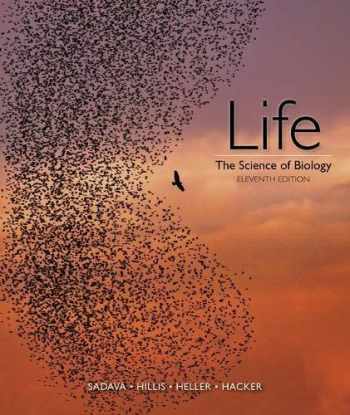 Since then Life: The Science of Biology textbook received total rating of 4.5 stars and was available to sell back to BooksRun online for the top buyback price of $61.91 or rent at the marketplace. The Eleventh Edition of Life: The Science of Biology is engaging, active, and focused on teaching the skills that students need in the majors biology course. New pedagogical features grab students’ attention and give them a clear learning path through the text. Active learning is a priority throughout the text and media, including in the brand new and unique Active Learning Guide, giving instructors the support they need to encourage students to "learn by doing." Life continues and improves its focus on experiments and data, ensuring that students learn the skills they need to succeed in their careers. It is this potent combination of expertly crafted pedagogy and engagement that make this new edition the best resource for biology students.The Eleventh Edition of Life: The Science of Biology retains its reputation as the book with the highest quality content, clarity of language, and experimental emphasis, and the new focus and features make it a Life worth investigating.